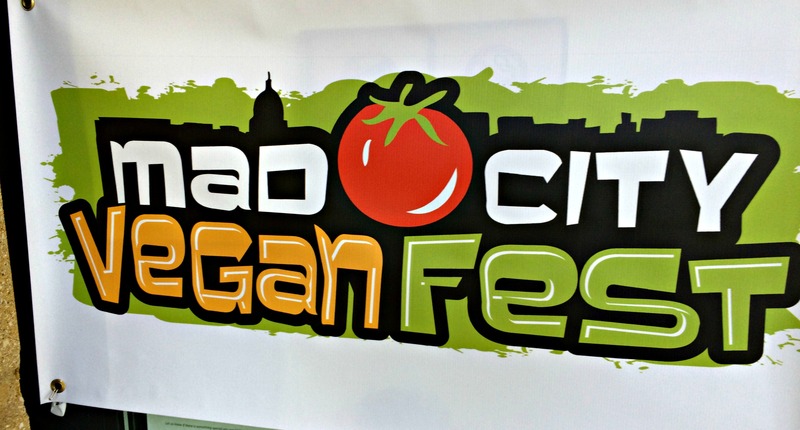 Mad City* Vegan Fest was a lot of fun! Not only was Saturday a beautiful day in Madison, we had a chance to get some exercise (we biked over), nutrition (we ate some delicious food) and some rest as we relaxed in the summer sunshine. I had already planned on making this pizza, but it seemed especially delicious on a Vegan Fest day! 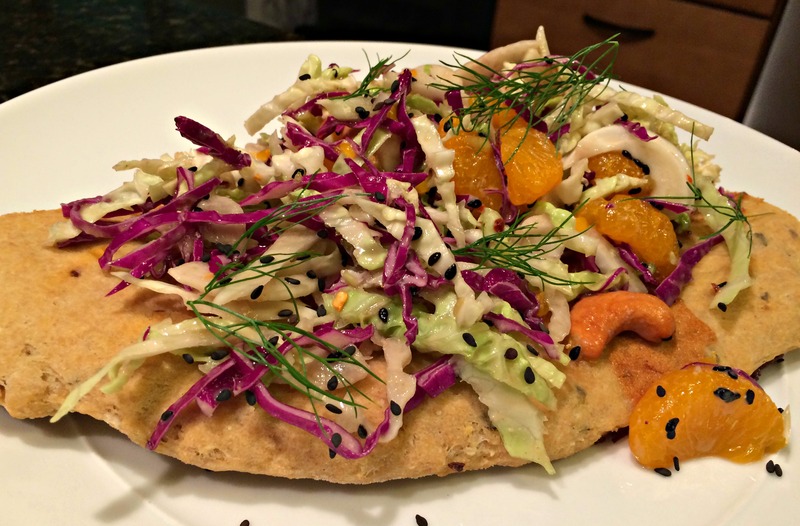 This recipe comes from a cookbook that I am exploring: Fusion Food in the Vegan Kitchen by Joni Marie Newman. 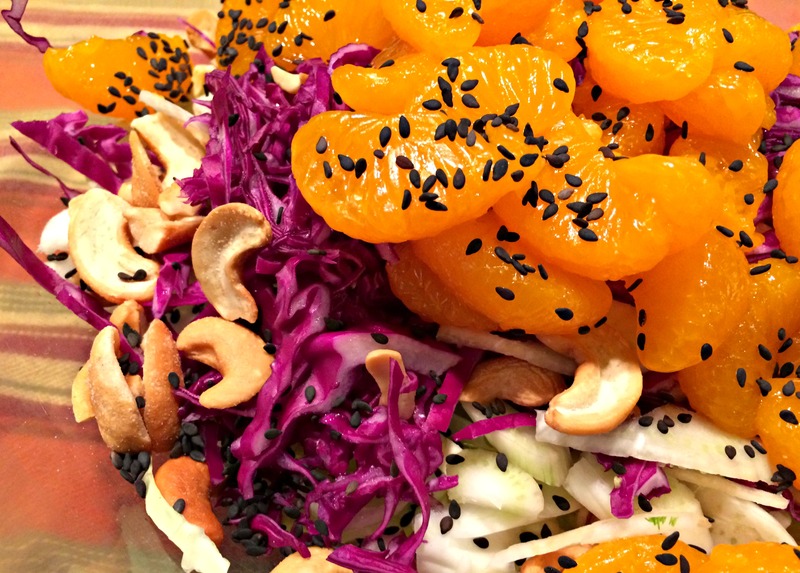 While I am not vegan, I am trying to “up” the vegetables and fruits in our diet. And this is a flavorful way of doing it. Salad on a pizza: A great combination! Preheat the oven to 350 degrees Fahrenheit. Line a baking sheet with aluminum foil and dust with the cornmeal. 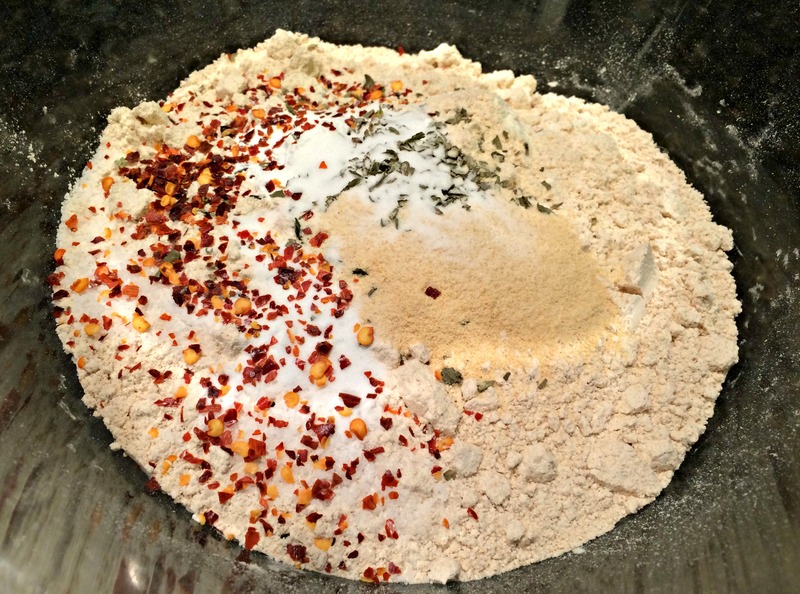 In a large mixing bowl, mix together the flours, basil, garlic powder, salt, baking powder, baking soda, and red pepper flakes. 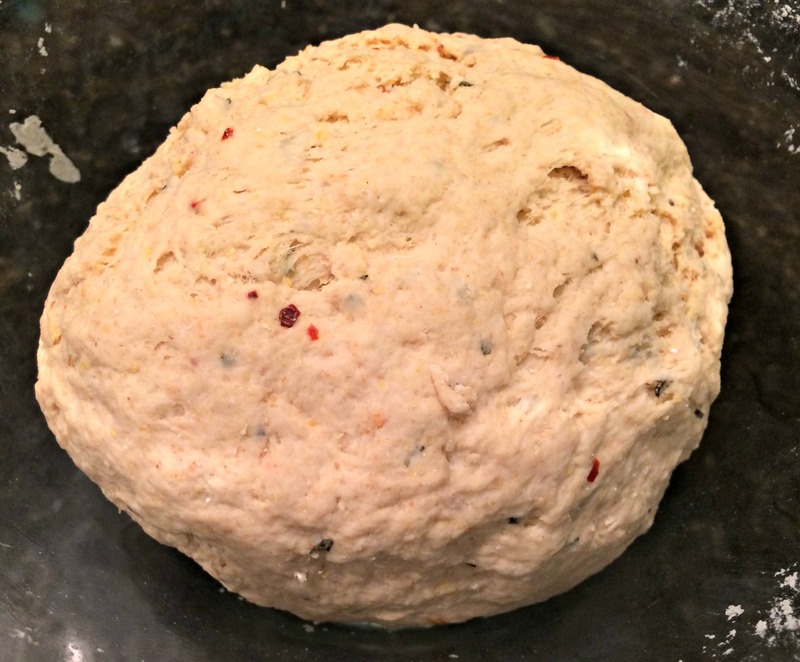 Slowly add the water and knead until a nice dough ball is formed. Continue to knead for about 2 minutes. Dust a flat surface with flour and flatten it out with a roller or your hands to your desired shape and thickness. 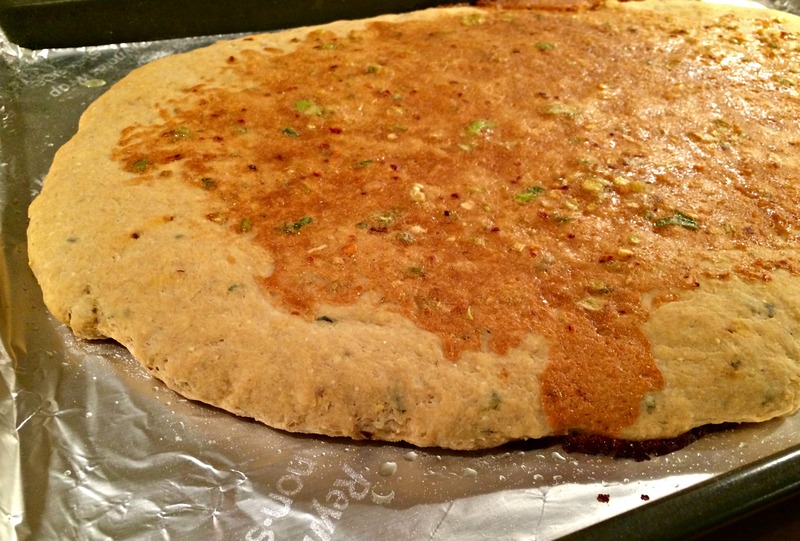 Brush the edges with olive oil and spread ½ cup of the Thai Cashew or Peanut Sauce over the surface of the flatbread. Bake for 20 – 25 minutes until the edges begin to lift from the pan and starts to brown. 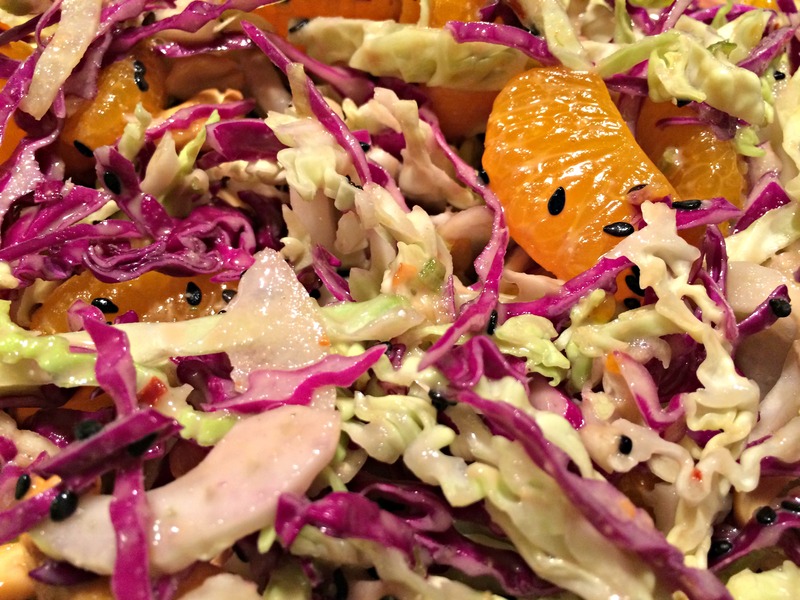 While the flatbread is baking, toss together the cabbage, cashews, mandarin oranges, fennel and sesame seeds. When the flatbread has baked, remove it from the oven and slice it into eight pieces and top each slice with the cabbage mixture and some of the Thai Cashew Sauce and some fennel fronds. Serve while the bread is warm. Add the cashew (or peanut) butter, water, soy sauce, sesame oil, agave, and ginger to your blender and blend until smooth. 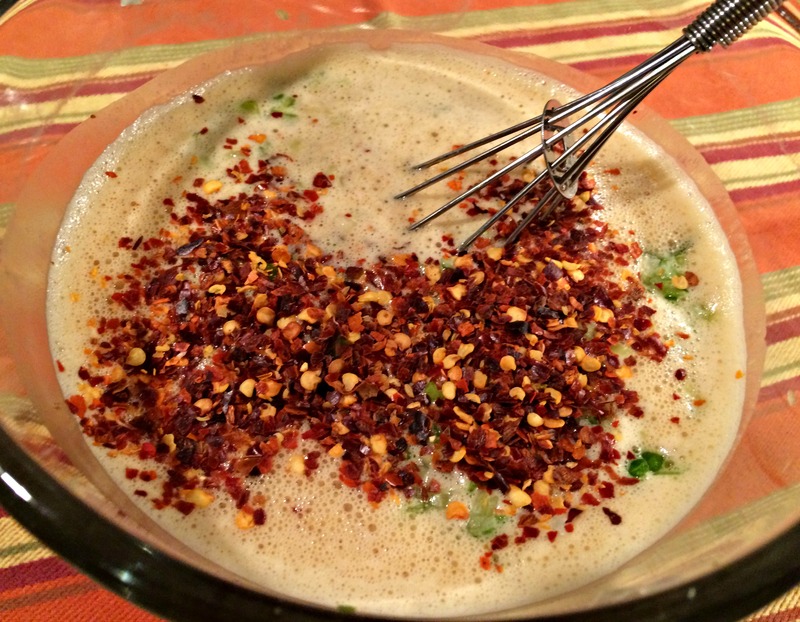 Pour into a bowl and stir in the scallions and red pepper flakes. Store any leftover sauce in an airtight container in the refrigerator for up to 2 weeks. *Nickname for Madison, Wisconsin (and sometimes prescient). Hey Chino, muy buena, se ve con mucho sabor no? Great recipe. I think roasted fruit/berries would work well in the salad too. I plan to give it a try.